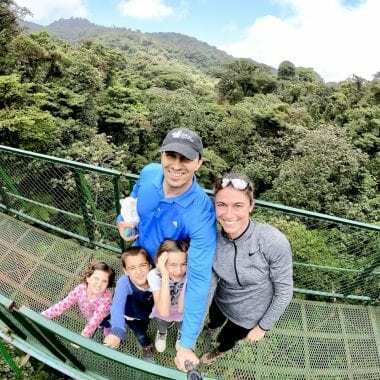 After an exciting day of adventure of zip lining and hanging bridges in Monteverde, we left the mountainous Costa Rica to head down to the coast! 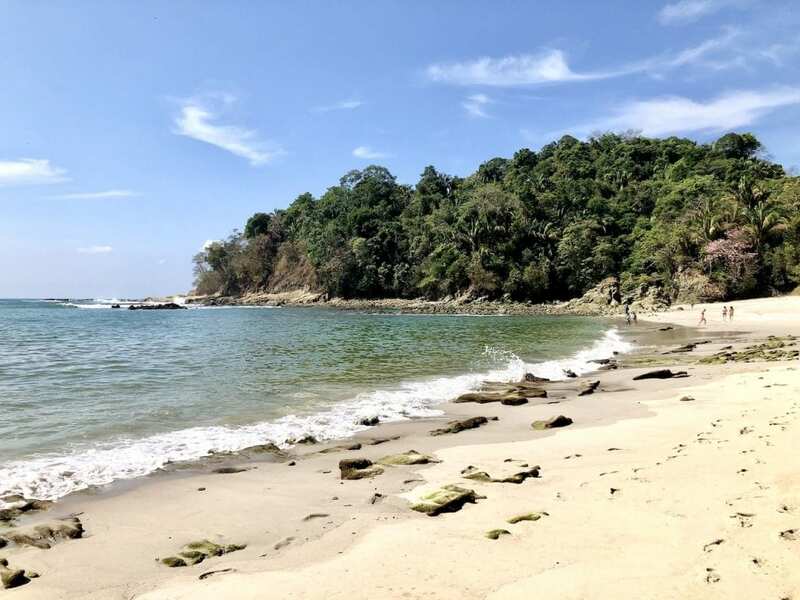 The 3-hour drive separating the two areas took us from the rough unpaved roads of Monteverde to the flat and well-maintained streets along the coast. We reached Quepos at sun down and enjoyed the most wonderful dinner at Soda Sanchez. 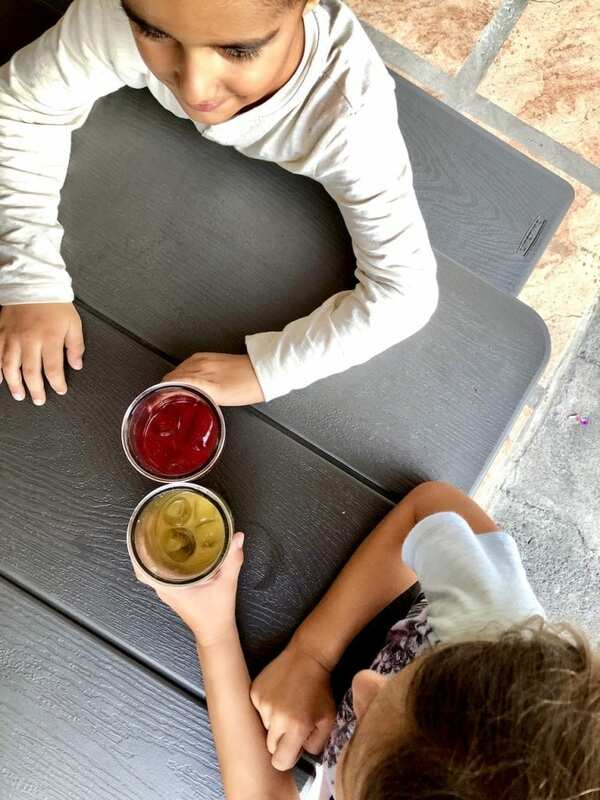 They had amazing freshly-pressed tropical juices and all-around amazing and cheap local food! 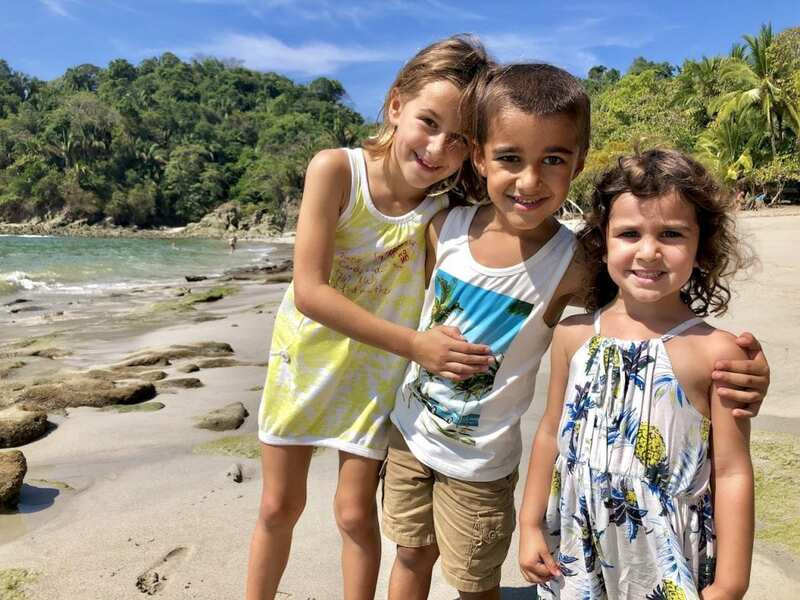 Whether you are traveling with kids or not, I highly recommend Nomada’s Paradise, located right in Manuel Antonio! Nomada’s Paradise was amazing! Not only a short 5-minute drive to the park, but extremely clean and well appointed! 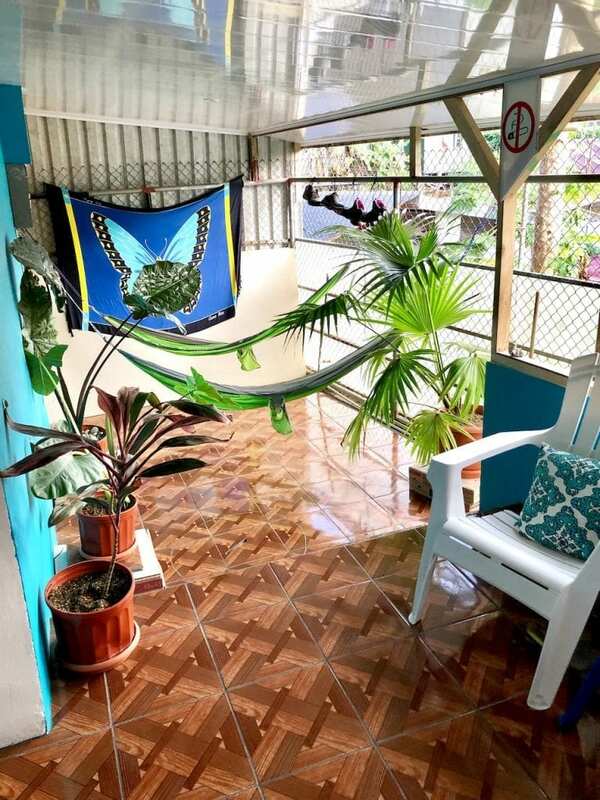 It was our only night in Costa Rica, with a truly cold bedroom when we arrived. It was definitely the only night with working wi-fi, and it was high quality, which everyone really enjoyed. The kids had a little bit of a break and streamed a quick show before bed, while Christian and I caught up on emails and useful information for the rest of the trip. If you are traveling with kids, book room #4!! Separated from the rest of the house, you won’t worry about the kids bothering other residents with noise. The room has 5 beds and an on-suite bathroom with really hot water, which was another plus!! 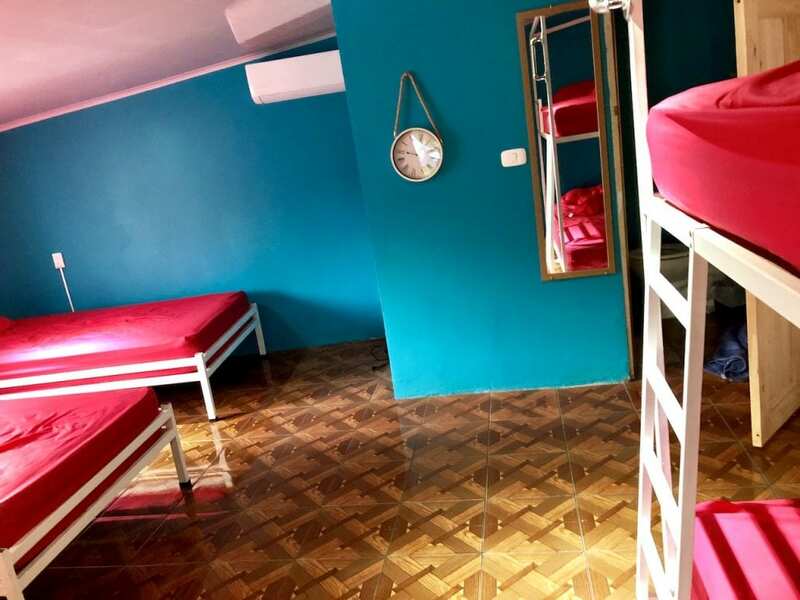 I honestly wouldn’t even call Nomada’s Paradise a hostel… and all we paid was $50 for the night and we had access to a full kitchen with fridge, a light breakfast to take out, and a parking spot! What else could you ask for?! First of all, don’t let the locals tell you where to park… they’ll start trying to route you to their paying parking quite far from the park. Instead keep driving and you will find paid parking much closer to the park! Expect to spend just under $10. I had assumed that we’d get there 30 minutes early and be the first ones to line up… WRONG! PRO TIP: there are 2 lines at the entrance of the park. The long one along the road is the entrance to the park. The one wrapping around the building just right of the entrance is the ticket line!! If you do not have a pre-purchased ticket, have your party line up to enter the park (along the road) and have one person line up to buy the tickets. The ticket booth opens at 7 sharp, and by splitting up, you’ll advance both lines at the same time!! PRO TIP #2: the national park is closed on Mondays!! Make sure to factor that into your itinerary planning!! PRO TIP #3: you will get bag checked! You can only bring sandwiches and fruits into the park! Don’t try bringing in anything wrapped, it will be taken away and trashed! 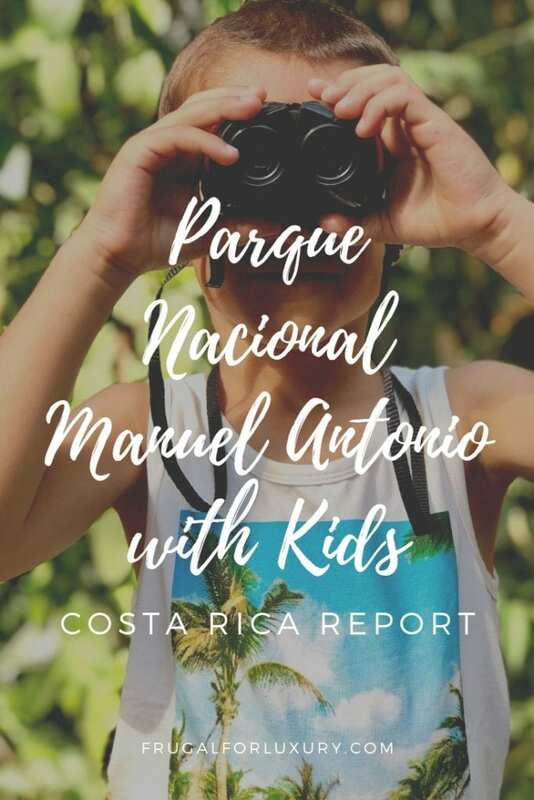 Getting A Guide For Manuel Antonio? I am NOT one to hire guides… ever! But when we lined up at the end of a 2-hour line and didn’t even have our tickets, I decided that the $20 / person were going to be worth it. 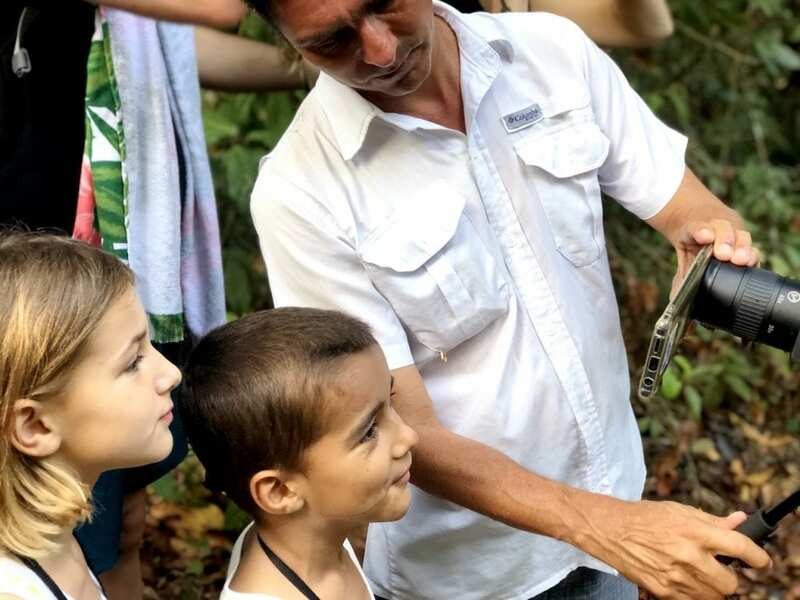 you benefit from a local’s knowledge and get to see animals you would have NEVER seen on your own. 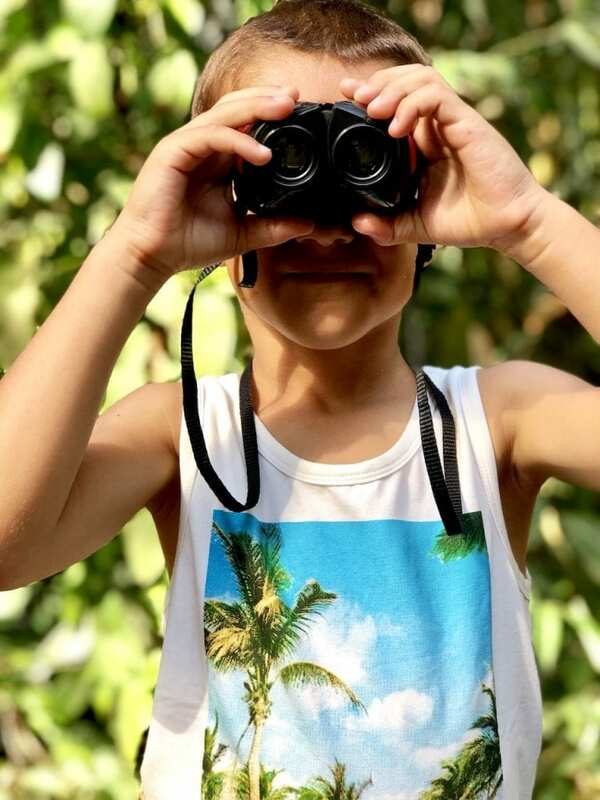 They have high-quality long views and even if you were to tag on to a guide and try to see what he’s showing his clients, you would not find the animals with your regular binoculars! PRO TIP: only hire a certified guide. You will notice them for wearing a uniform and a badge. They will most likely approach you in the line. 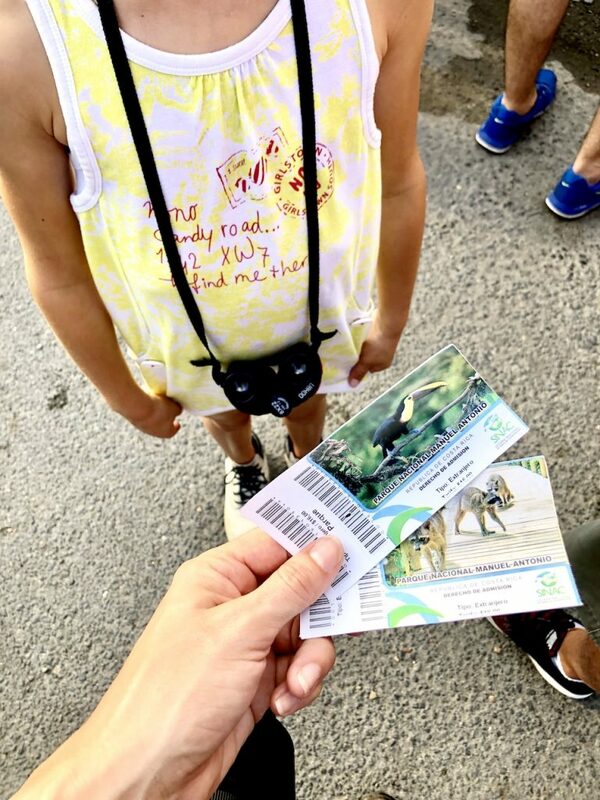 You’ll spend about $20 per adult – try negotiating the kids price to $10, it worked for us – plus the price of the park tickets ($16 per adult, FREE to kids). Your tour will last a little over 2 hours and be worth every cent! 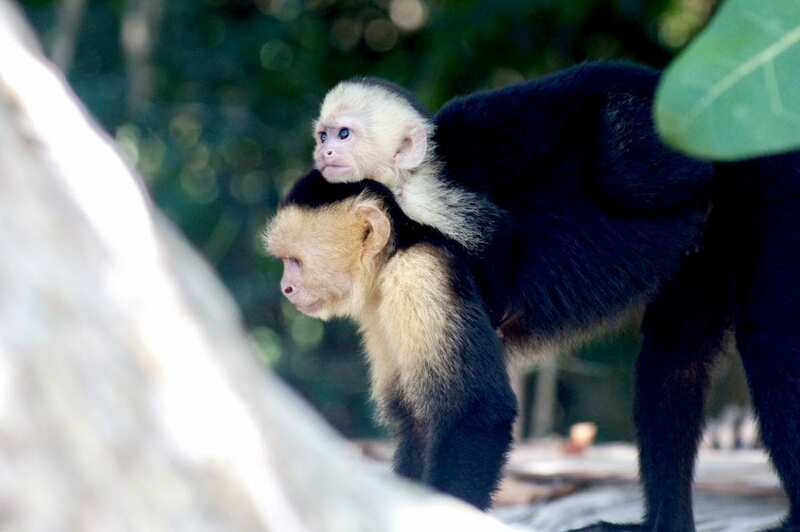 Manuel Antonio is probably the most popular national park in Costa Rica, for a good reason. 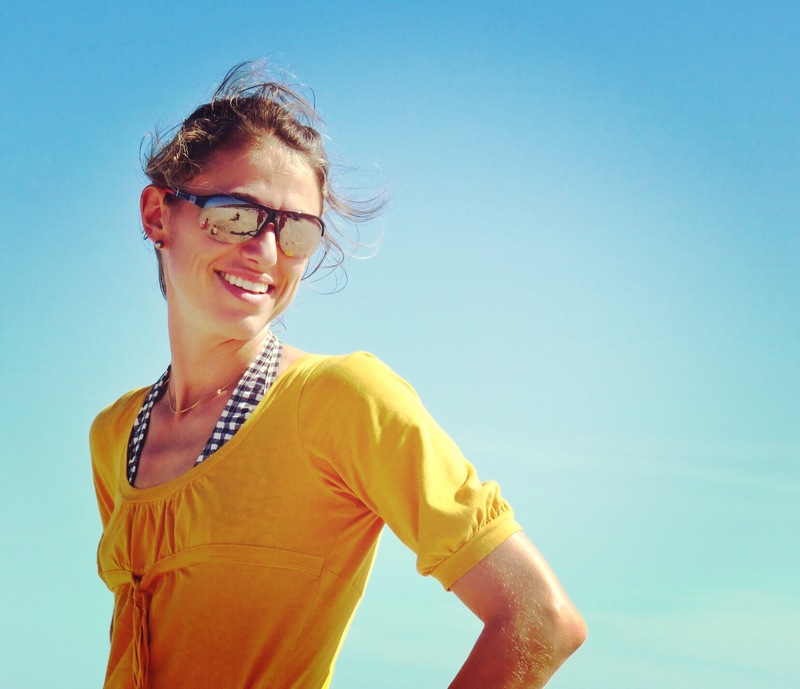 You will see a ton of local wildlife and spend the rest of the day at the beach! 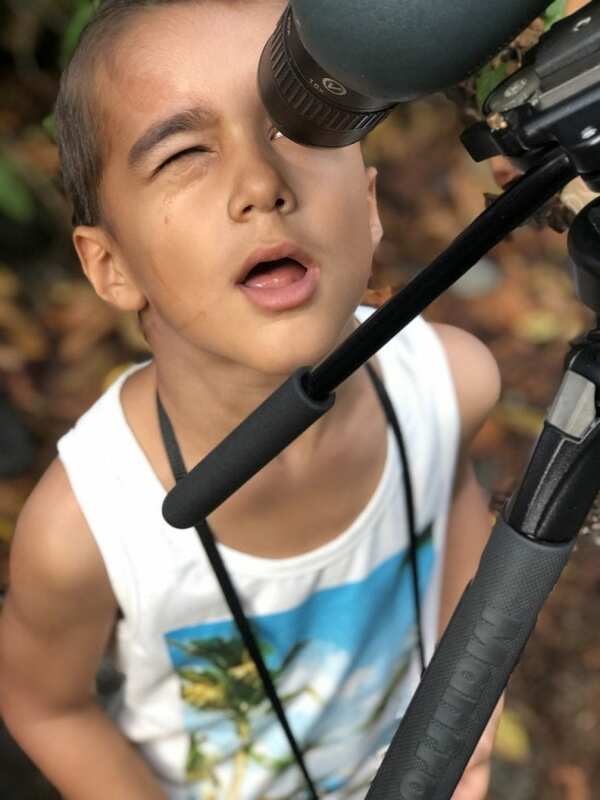 Our guide was so fantastic and we saw everything from deers, to huge lizards, a very special bird, 3-toed sloths, 2-toed sloths, mommy-sloths with their babies, howler monkeys, blue morphos, iguanas, and all sorts of tropical birds. 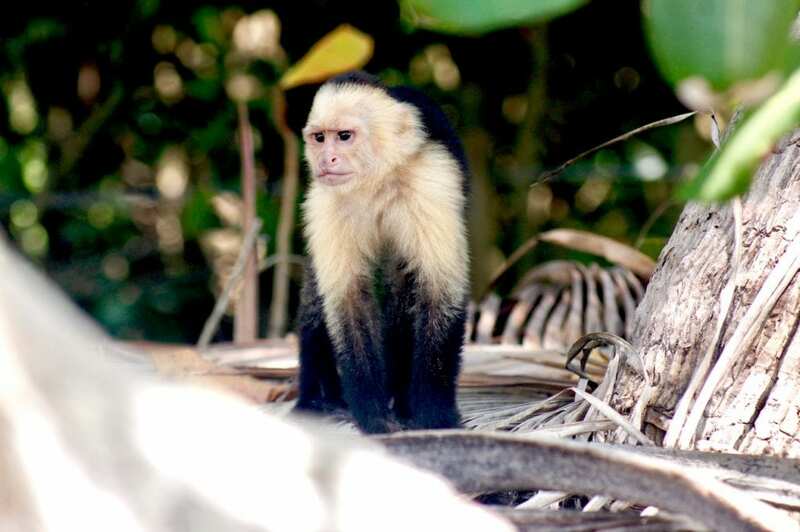 If you are in Costa Rica for the wildlife, make sure to put Manuel Antonio on your list! 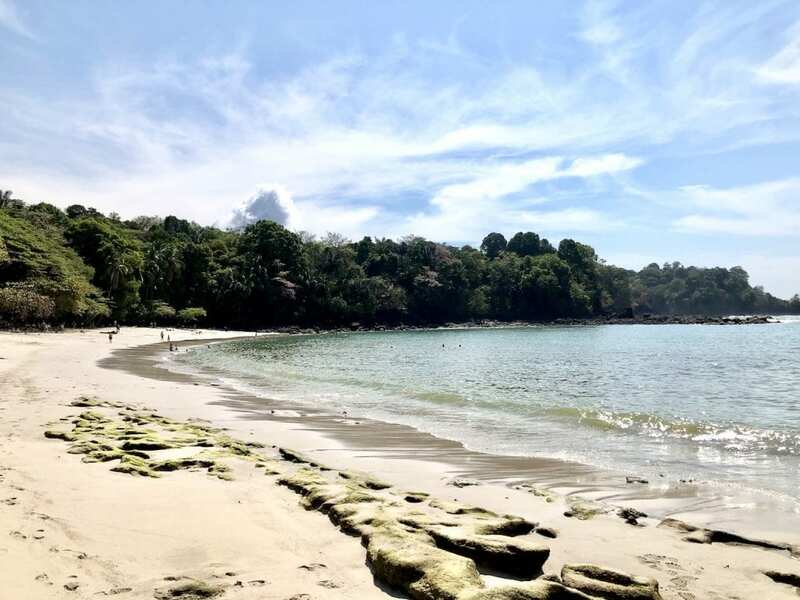 There are several beaches inside Parque Nacional Manuel Antonio. 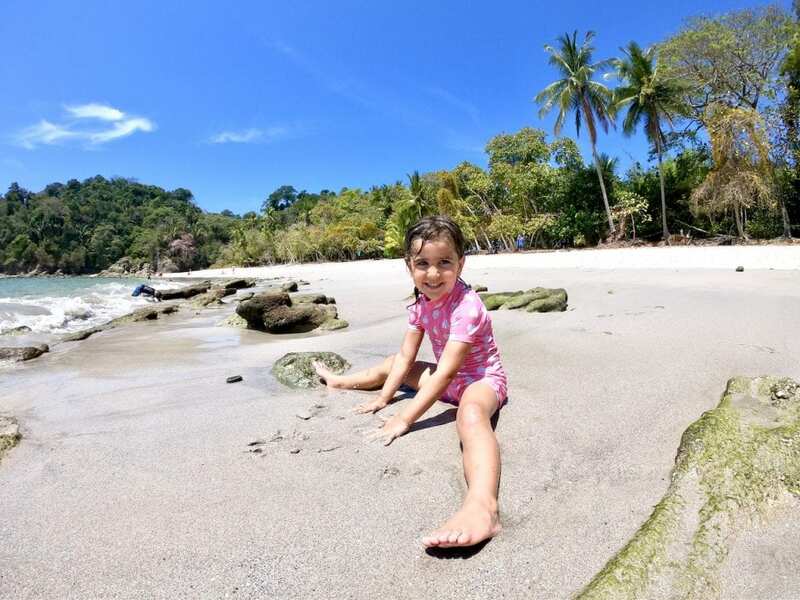 The beach we preferred visiting with the kids was Playa Manuel Antonio! 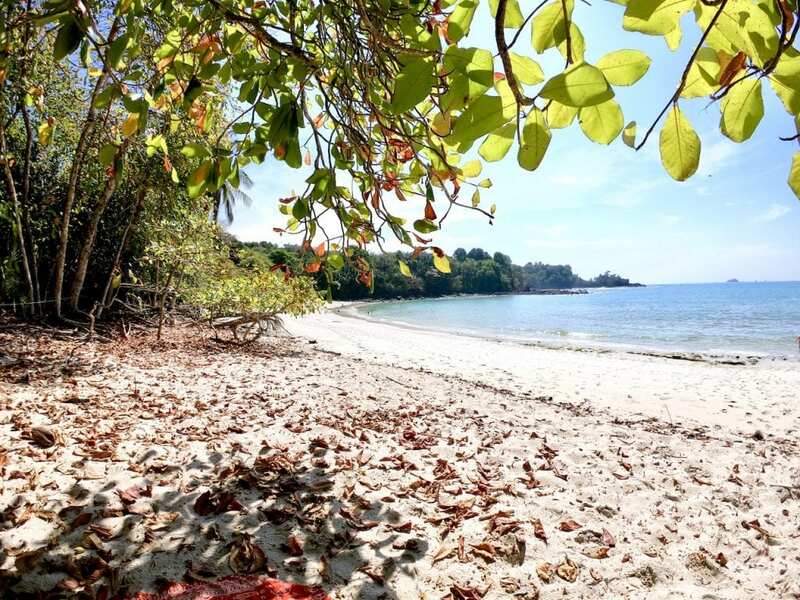 It is known as the most beautiful beach in Costa Rica, and while I don’t totally agree, it is the backdrop of many commercials and movies, such as Castaway! The water was really warm and the kids spent over 3 hours swimming, which felt amazing after 3 full days of trekking! 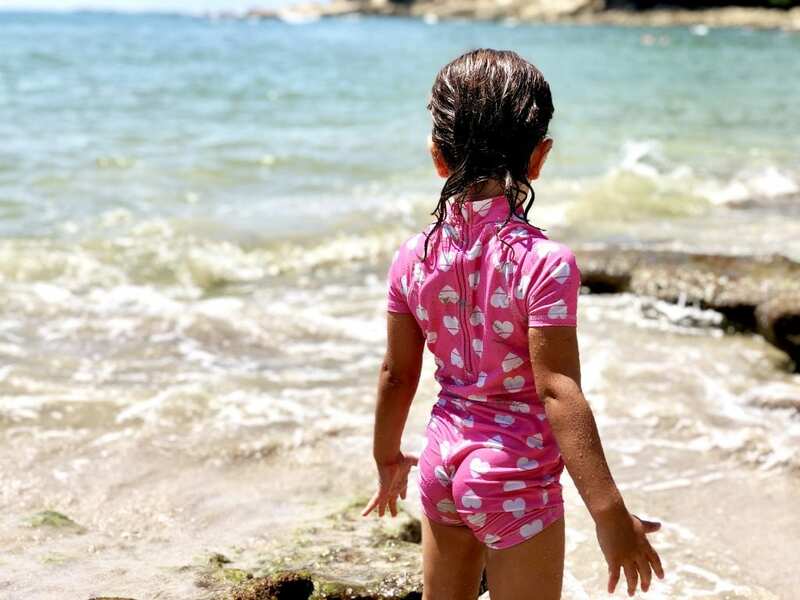 The beach is very sheltered, so no waves or current, and we found the water to be shallow and perfect for the little ones! If you are like us, you will want to set up your towels in the shade, near the trees… please make sure you either have no food at all, or really close your bags well. My personal advice would be to make sure one adult stays near the bags at all times. 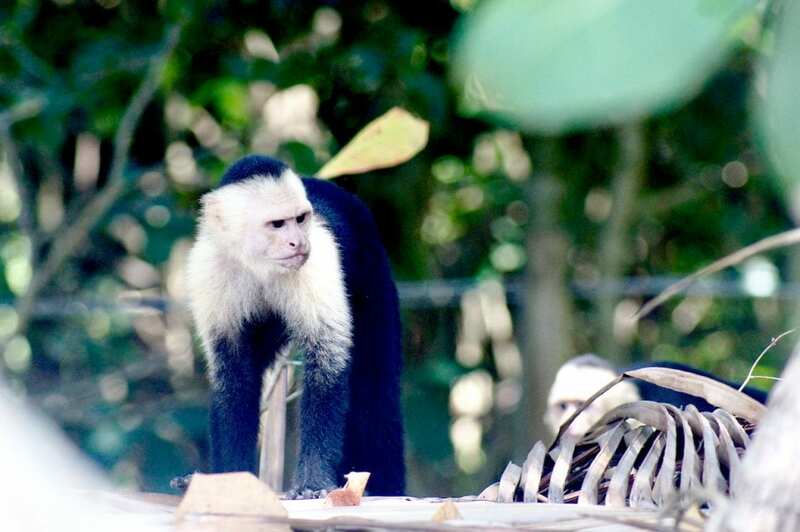 Raccoons and capuchin monkeys will be roaming that tree line and stealing every little bit of sandwich and fruits you bring in! The raccoons even opened our zipped-up backpack and helped themselves to a healthy lunch! We had an amazing day inside Manuel Antonio. We loved having a guide and would have not seen many animals without him. After watching wildlife and slowly making our way to the end of the park in just over 2 hours, we spent an amazing 3 hours on the beach. After the beach, you can rinse off at the public showers, which is a great plus since you’ll be walking about 15 minutes back to the exit. I would definitely plan for a whole day inside the park and start very early! If you can find accommodation near the park, you’ll save precious time and sleep and get into the park early enough to see the animals! So fun! Seeing wildlife in their natural environment is such a fantastic experience. Thanks for sharing! 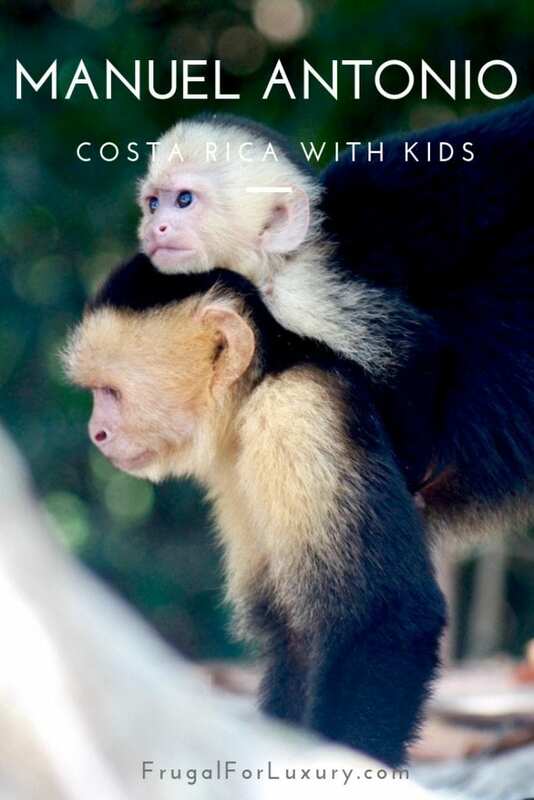 Definitely, want to go to Costa Rica at some point! I can’t wait until my son is just a bit older so he can really appreciate when we travel! 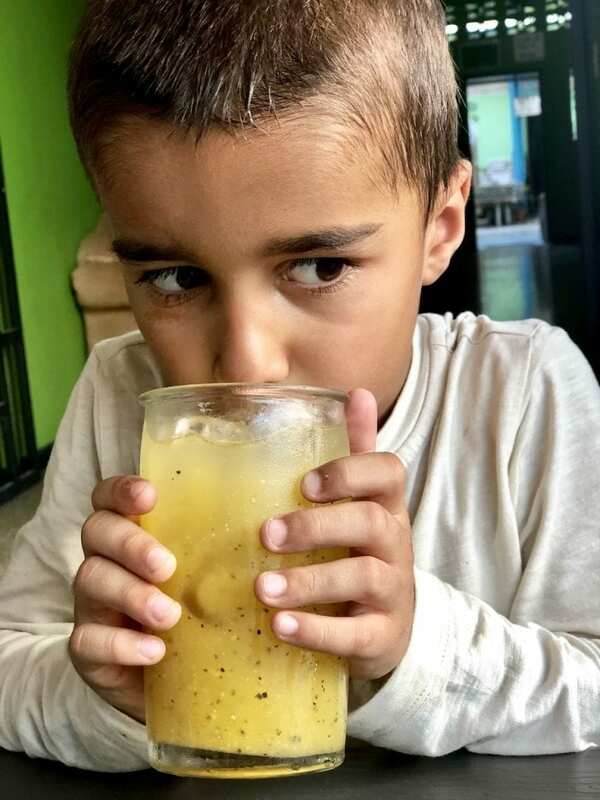 How old is your son Gigi? Hope you can start traveling with him soon. They love the adventure at all ages! 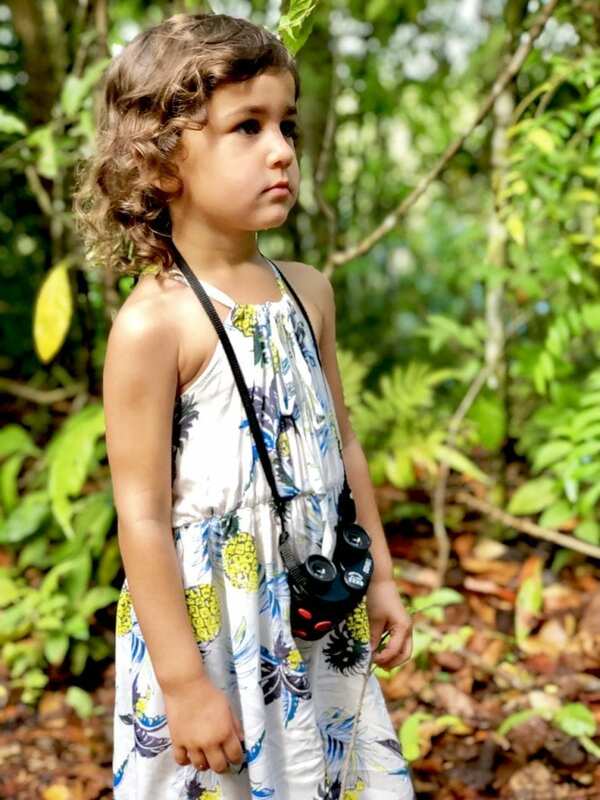 It was fun to see our 3-year old look for animals with her binoculars. She spent hours playing with hermit crabs on that trip!! Aw, monkeys! 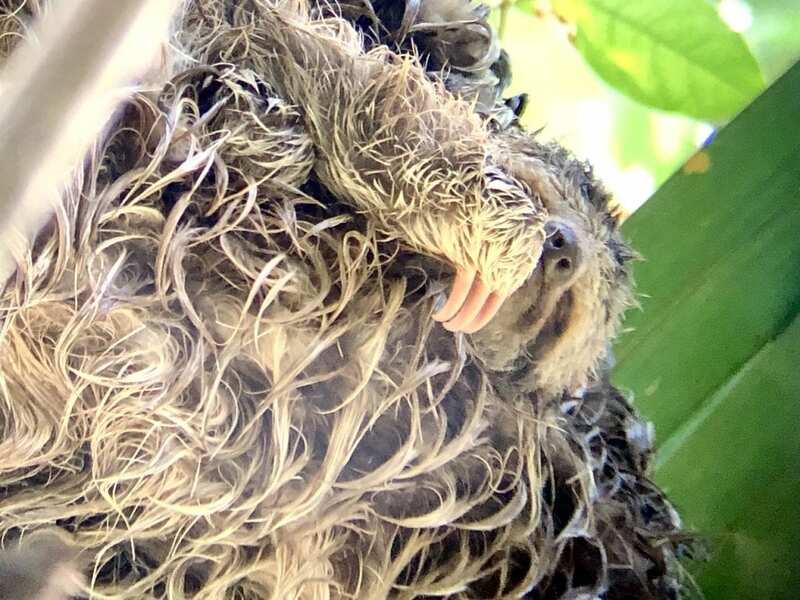 My daughter would LOVE to go to Costa Rica to see them. Same with me, actually. It looks gorgeous. Thanks! It’s the best place to see all sorts of monkeys!! One night, we even got woken up by howler monkeys, it was incredible!! I known right? It was so unexpected! I thought this would be our fourth day of only-trekking in a row, and it turned out being a half-trek / half-relaxing day, which was wonderful, especially for the kids! Thank you so much! 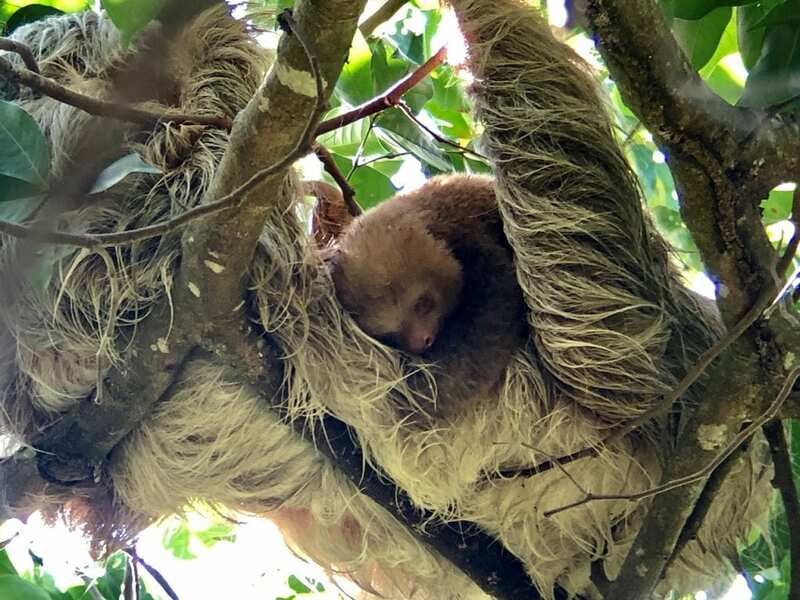 There was so much variety to explore in Costa Rica, I hope you can visit it soon! This looks like such an amazing family trip! I would love to experience seeing all those animals with my kiddos! What an absolutely beautiful looking are to go and explore. The beach looks gorgeous and how amazing to get up close with the sloths! I would love to see one in the wild! Thank you, it was truly beautiful! The sloths were very up high in the trees but our guide had an amazing longview and we felt like we could touch them! wow what an adventure! im sure the kids had a blast seeing the animals! i almost feel jealous as i always wanted to visit that side of the world! I hope you get to see it soon! It is still very underdeveloped and genuine!! The connections from North America are actually really good!! 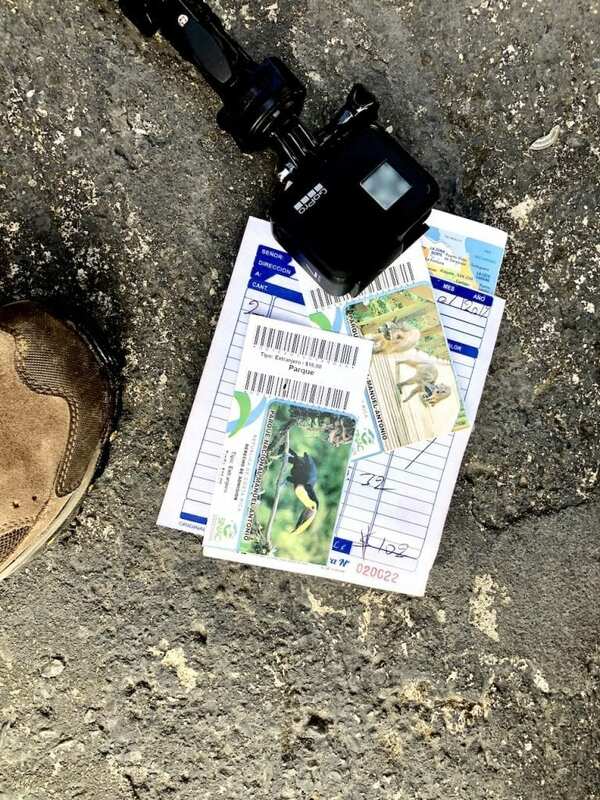 Thank you for these great tips when traveling in Costa Rica. All of the animals looks so cute, and that beach is simply gorgeous! Thank you so much! The monkeys were amazing!! And the beach was a blast! Definitely a must-visit during a Costa Rica trip! 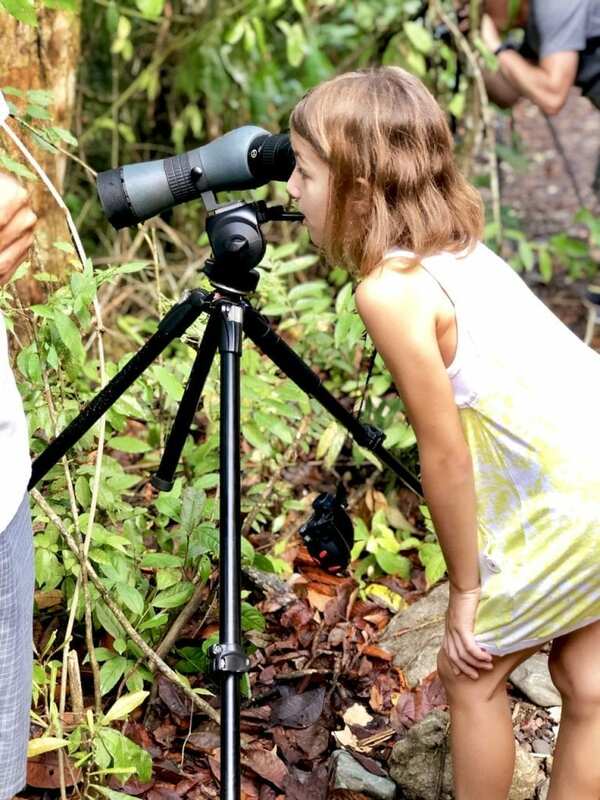 Such a wonderful place in Costa Rica, The kids it looks they enjoy their adventure trip. Awesome photos. They really did, yes. Every second of it! We were outdoors from morning to evening and they just loved every single day of our adventure! Great destination for children! Thank you! They really did!! Wow! that’s paradise right there. This is definitely the kind of family fun my boy would enjoy. The beach is totally amazing and the close encounter with animals is so cool. I couldn’t believe the beach was this nice! I was expecting a little beach and mostly forest and animals. But the beach was totally amazing! Aww that looks so fun! I love the colors. I am just dying to go somewhere warm! This winter was too long. You’re right, the colors were so beautiful Amy-Lynn!! Costa Rica is amazing for a winter getaway!